Review. “Russia. Strokes to the portrait”. The exhibition. 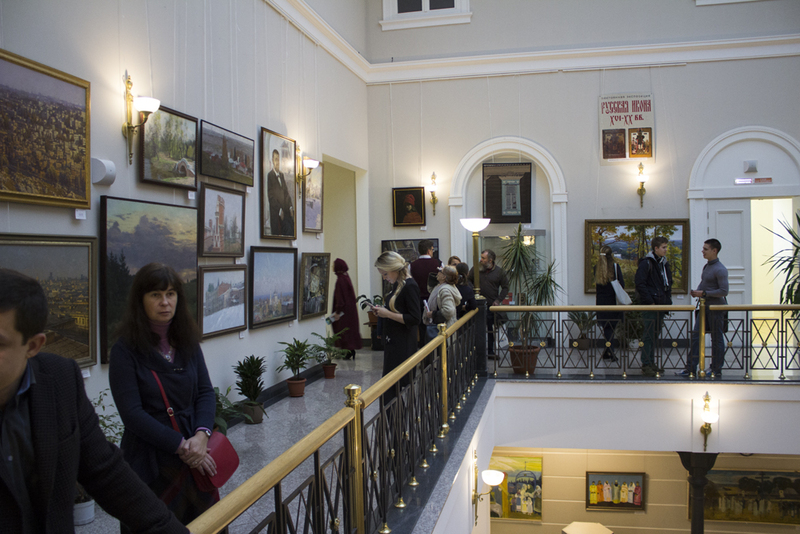 I just participated an exhibition “Russia. Strokes to portrait” and would like to share my thoughts. 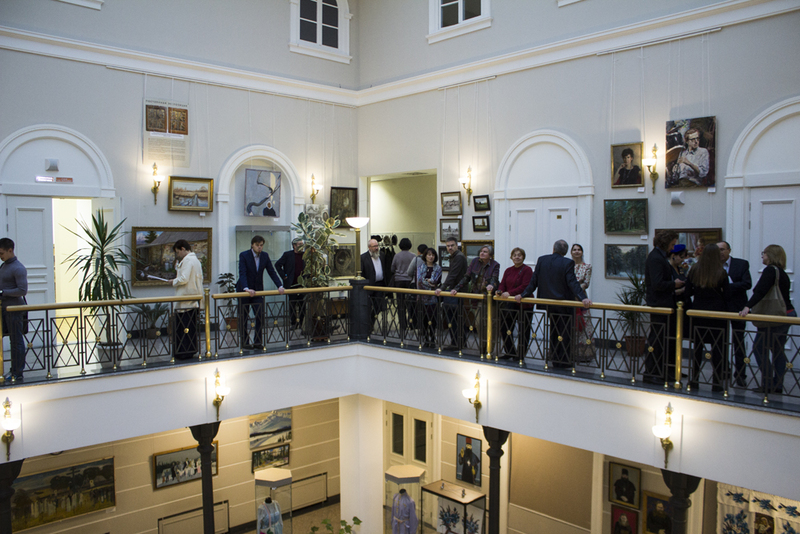 The exhibition was held as one of the events of the III International Film Festival called Savva Morozov. The exhibition is a part of the international project “Palette of Reality – The Russian World”, which the “New Itinerants” association is holding. 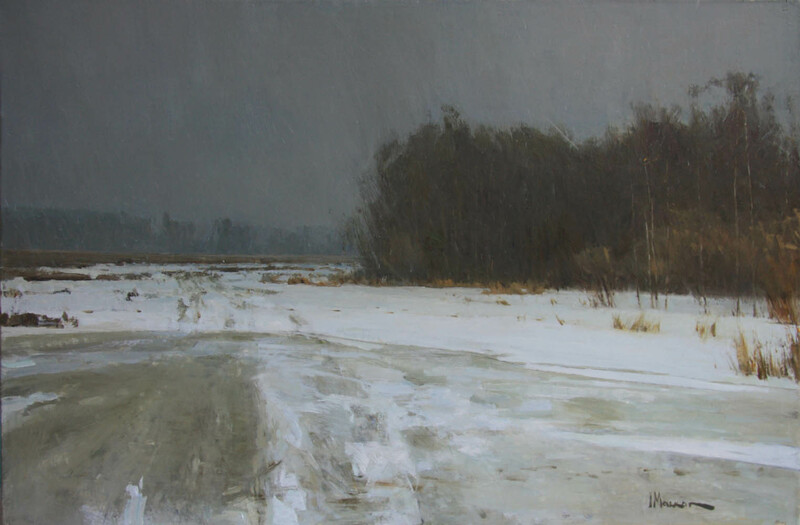 The association is probably the biggest contemporary plein air painters associations in Russia. While writing these words, I became interested why the festival was named that and decided to look for what is behind it. It so happens that at this exhibition there were symbolically intertwined events and names from the distant past. These names are already semi-forgotten and barely mean much, even to many Russians. I’ll try to explain why these are more than an excuse to collect artwork this evening. 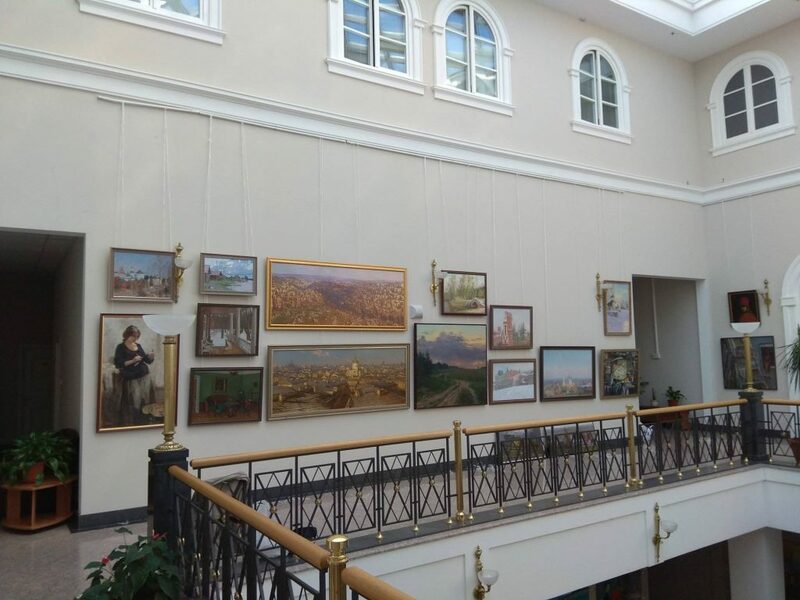 First of all, what you see in the photo is not just some kind of an exhibition hall, but the interior of the Rogozhskaya Sloboda. The Sloboda is a sacred area, a temple complex – the center of the Old Believers Christians in Moscow, and has a historical preservation status. It looks like a space carved from another century, tucked into contemporary Moscow. Churches and antique buildings, there are a lot of them, but at the same time, it feels as if they are not crowded. There is air in this space, silence, and a feeling of the past. 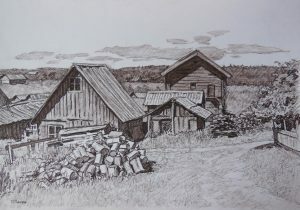 In the time of the Soviet Union, the entire Old Believers church was reduced almost to nothing. The archiepiscopacy of Moscow and the rest of Russia was reduced to a group that could fit in a storeroom in one of the churches in Rogozhskaya Sloboda. To compare, in 1790 there were around 20,000 parishioners in Rogozhskaya Sloboda, in 1822 there were 35,000, and in 1825 up to 68,000. So, how all this is connected with a film festival? The Morozov dynasty, in honor of which the festival was held, was founded by Savva Vasilievich Morozov. He was a serf peasant, who rose high from his humble beginnings. 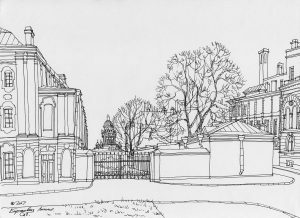 Among other things, the Morozovs became collectors, amassing one of the greatest collections in Russia. Savva Timofeevich Morozov, a descendant of the first Savva and whom the festival is named for, was more interested in theater, but he must have known in person the original Itinerants, after whom the “New Itinerants” were named (those who organized the exhibition). 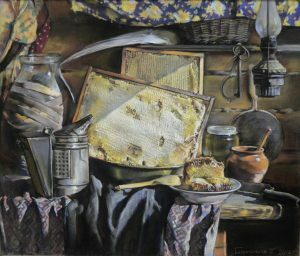 The Itinerants were artists who refused to paint graduation artworks according to the rules of the Russian Academy of Arts. And these rules were, roughly speaking, like that: it was necessary to paint an artwork on the theme “The Feast of the God Odin in Valhalla”. At the same time, people had to be drawn with the faces, poses and physiques of ancient Greek’s statues. The background also had to be antique, and everything should look beautiful and elegant. The Itinerants were sick of these rules. They lived in a completely different world. They lived in Russia and saw a completely different life: The life of ordinary people, whom they sympathized with. They loved Russian nature, not the ancient Greece’s. They decided not to paint fictional subjects, but real life as it is. For this, they left the Academy in the last year of their education. The Itinerants decided to try to overcome the distance between noblemen and peasants, to introduce peasants to culture and educate them, and also to travel around the country with traveling exhibitions – for which they were nicknamed “Itinerants”. I think the spirit of rebelliousness ties them with Savva Morozov. He was not an ordinary person, but a man of similar importance to Henry Ford. He was nicknamed “merchant voivode (general)”. In the beginning of the 20th century he created cutting-edge manufacturing technology, teaching his workers to work on the new machines himself. He also founded free hospitals for workers, created schools, brought Europeans to work in his factories, and supported theaters. He also supported the idea of introducing freedom regarding speech, press and unions, universal equality, the sacredness of individuals and the home, compulsory education, public control over the state budget, and so on. The story of his life is more like a detective fiction or a story about a superhero. His life ended tragically and despite the official reason “suicide”, presumably he was killed by ultra-conservatives. The famous writer Maxim Gorky once pointed out: “After the death of Savva Morozov, a legend arose among the workers of his factory: Savva did not die, another was buried instead, and he ‘gave up wealth and secretly walks through the factories, teaching the workers how to live.’”. If it’s true, then it says a lot about him. That’s how the two names are connected. And the connection with the Old Believers is Savva’s faith and deeds. He is buried nearby, at the Rogoshkoe Cemetery. 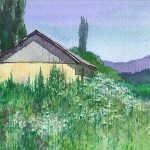 Here I’ll post the paintings which stuck in my memory the most, and below is the link to the full catalog where you can see more interesting pieces. The photo doesn’t convey the color well. One should see it in real life. 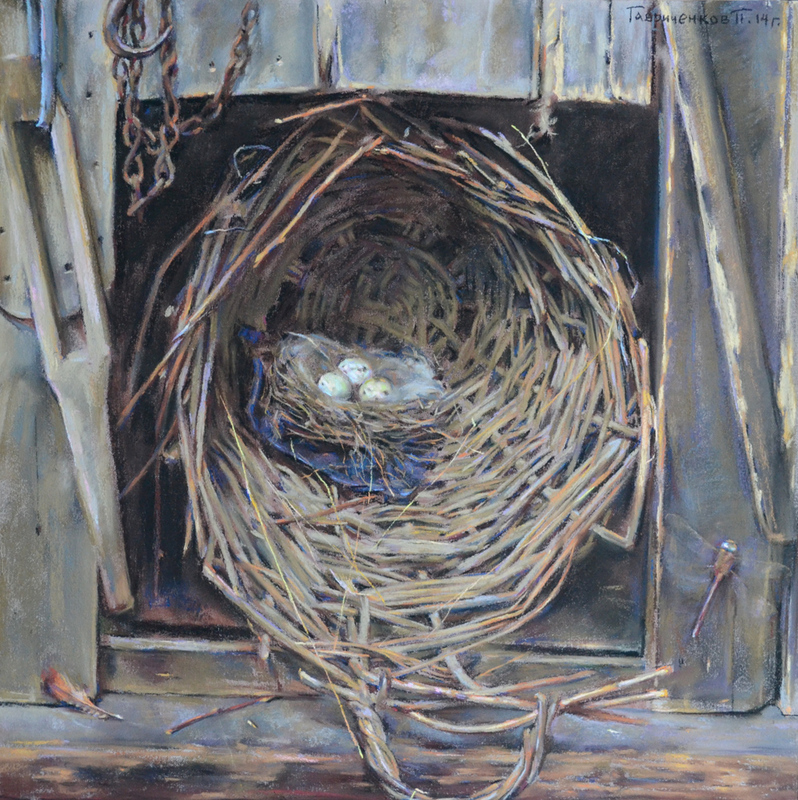 This was my favorite piece at the exhibition: Cool subjects, great mastery. At first, I usually look at color in painting. These works, according to my test, are superior in color. 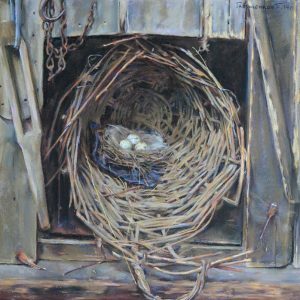 By the way, the artist received the prize in the “best still life” category. I think this is absolutely deserved. I crossed my fingers that these works would win. By the way, this is pastel. Valeriy Polotnov, “Town at the White Lake”, canvas, oil, 80х120 см. Valeriy Polotnov, “Tzarizino. 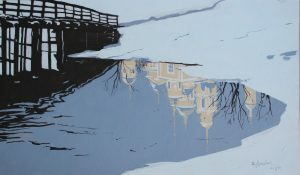 Shaped bridge”, canvas, oil, 60х80 см. 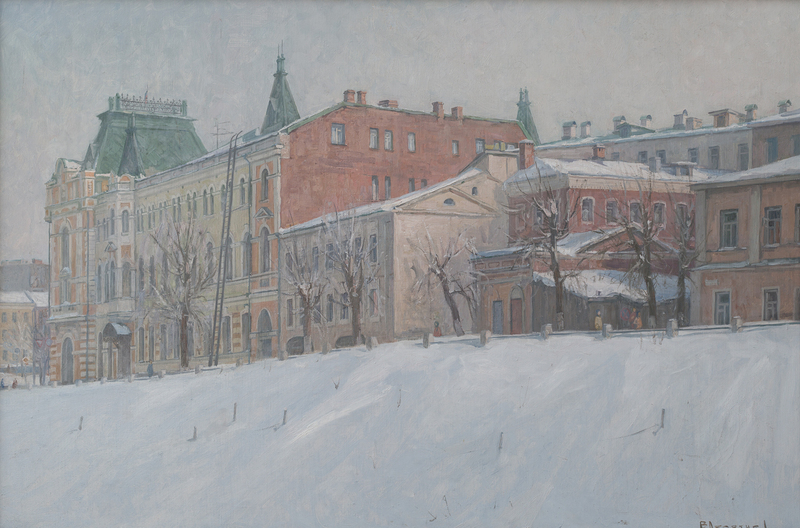 Valeriy Polotnov, “Winter in Nizhniy Novgorod”, canvas, oil, 60х90 см. 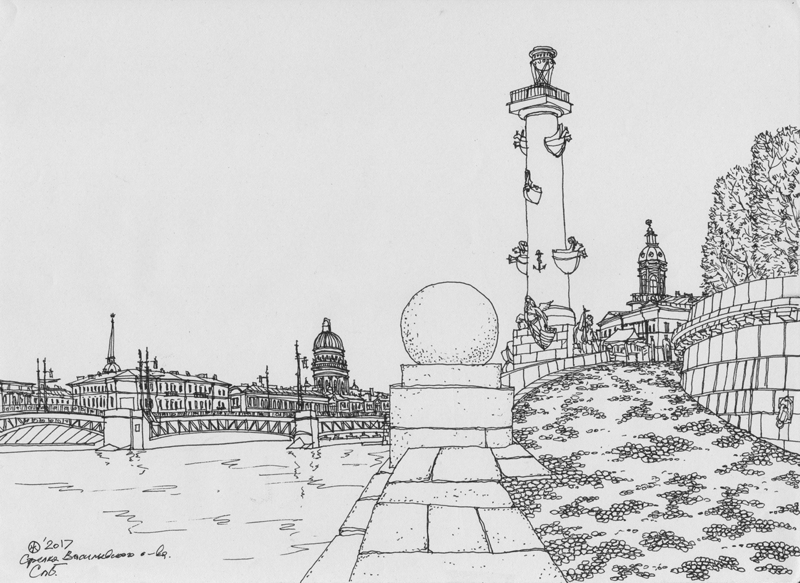 I like these landscapes very much for their coloring. They are reserved and very holistic. Daria Musihina, “Bridge”, cardboard, acryl, 26х43 см. In this artwork I like the subject and the foreshortening, and everything is generally very cool. A couple of shapes, skillfully drawn and masterfully chosen by color – and that’s enough, everything is recognizable and cool. “Winter evening”, canvas, oil, 33х45 см. 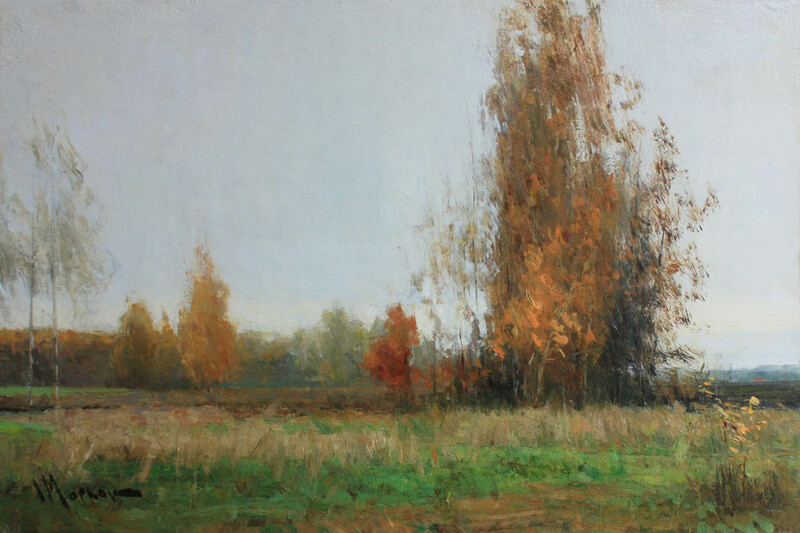 “Late autumn”, canvas, oil, 20х30 см. “Early spring”, canvas, oil, 40х60 см. 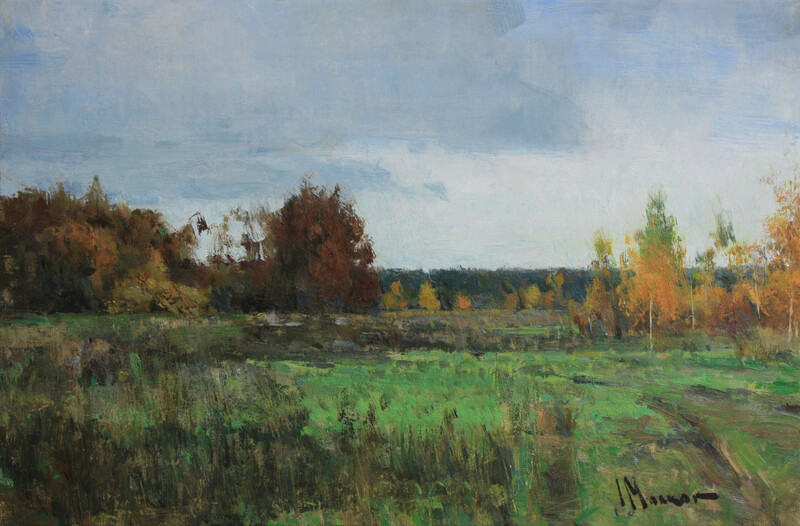 “October”, canvas, oil, 20х30 см. In these pieces I like how the natural state is captured, and I really enjoy the colors. Without the carefully chosen colors, the natural state, maybe, wouldn’t be so obvious. Sergei Ivantsov, “Jerusalem”, canvas, oil, 90х200 см. 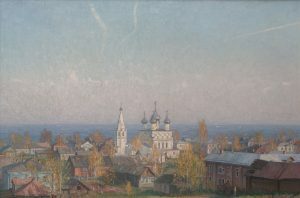 Sergei Ivantsov, “Moscow. 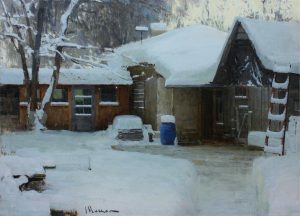 Roofs.”, canvas, oil, 90х200 см. The air in these pieces is depicted masterfully. There are a lot of planes and they slowly melt in the air. There were a lot of graphics which I like. 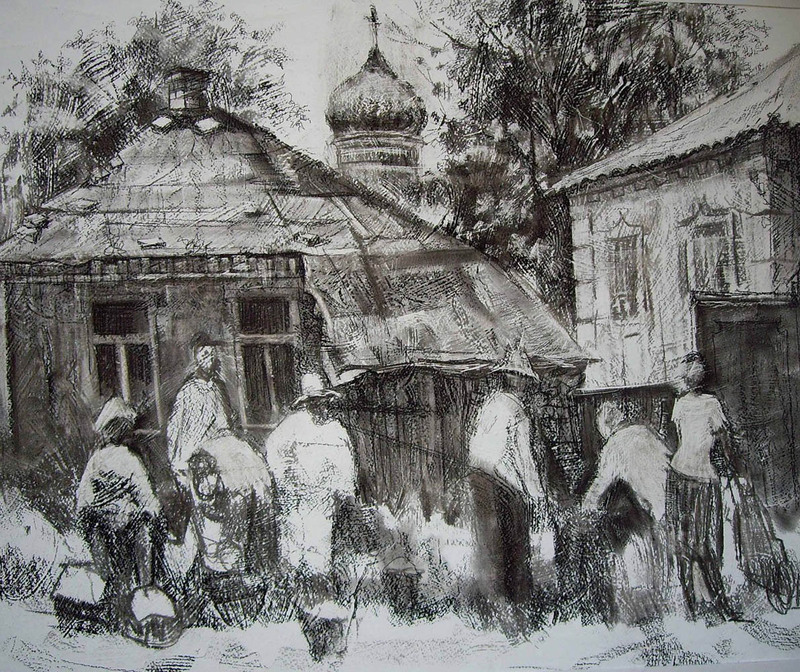 Angelica Shust, «21st century», 2008, paper, coal, 50х70 см. 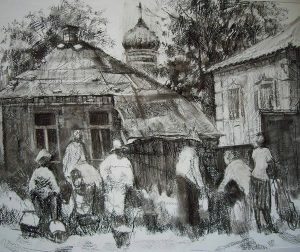 Angelica Shust, «At the rural market», 2008, paper, mixed technique, 50х60 см. 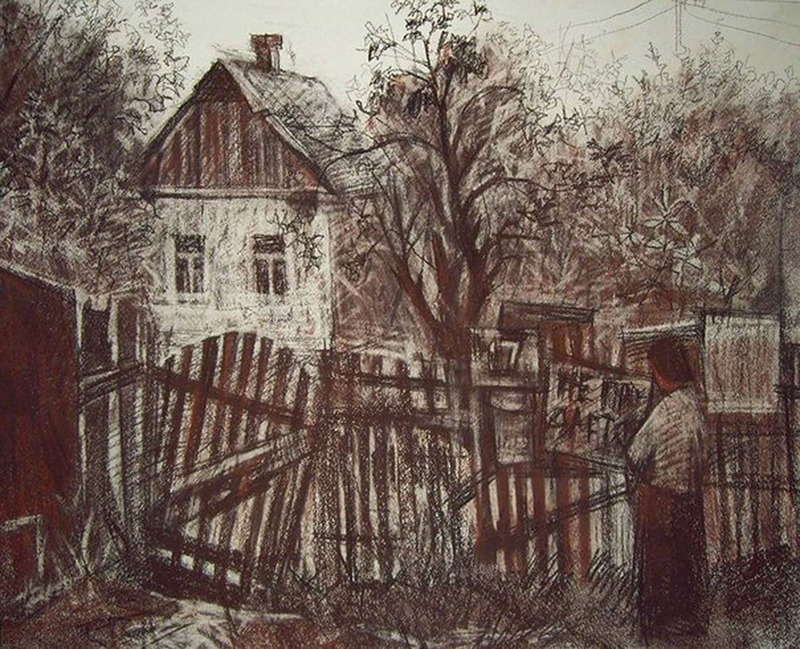 Angelica Shust, «A house for sale», 2008 г., paper, sepia, 50х60 см. 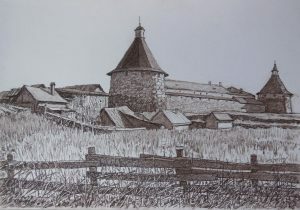 Vladimir Panin, «Solovetski’s Barns», 2015, paper, sepia, 30х42см. 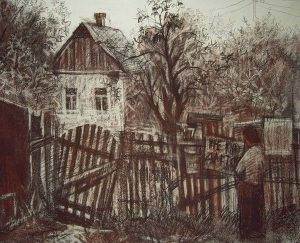 Vladimir Panin, «Solovetski’s theme», paper, sepia, 30х42 см. 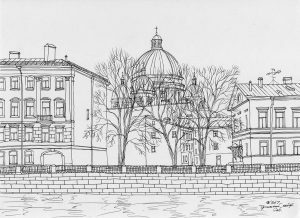 Olga Zhuravleva Olga Zhuravleva, «Saint Petersberg. 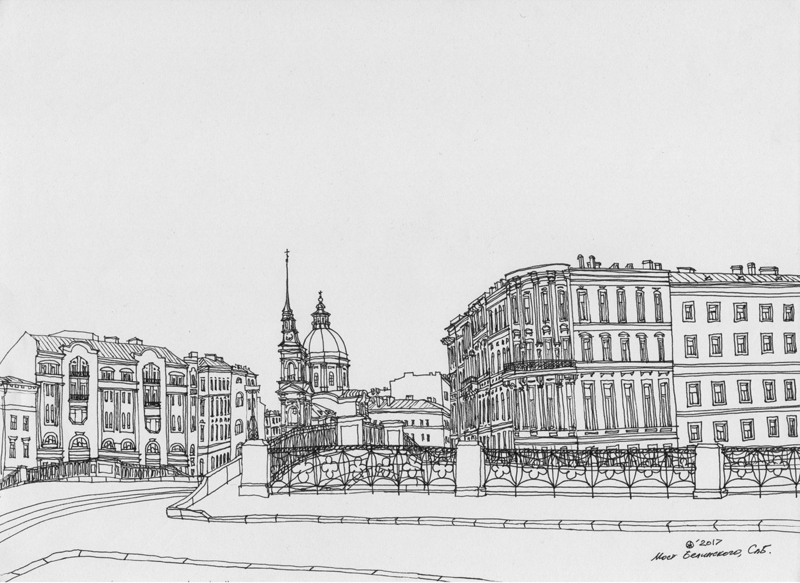 Exchange Line Street», paper, pen, 21х29 см. 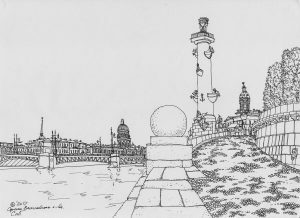 Olga Zhuravleva, «Saint Petersberg. 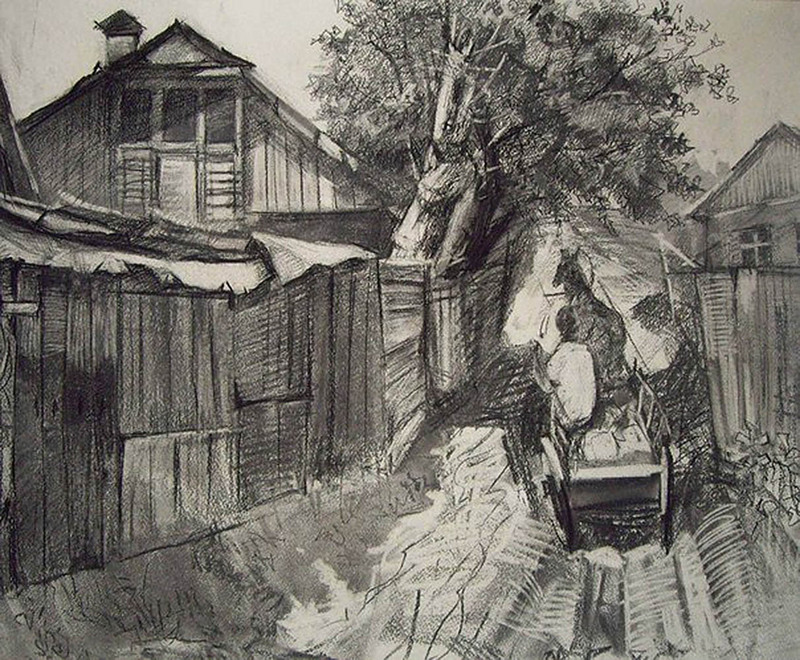 Belinsky’s Street», paper, pen, 21х29 см. 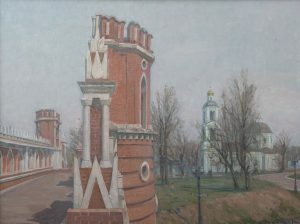 Olga Zhuravleva, “Saint Petersberg. 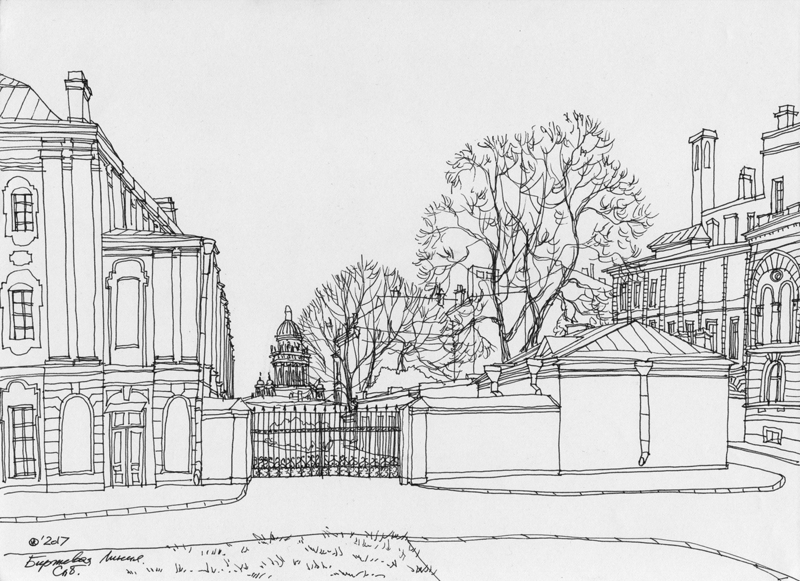 Troitsky Church”, paper, pen, 21х29 см. 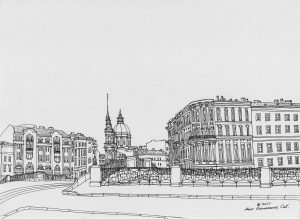 Olga Zhuravleva, “Saint Petersberg. 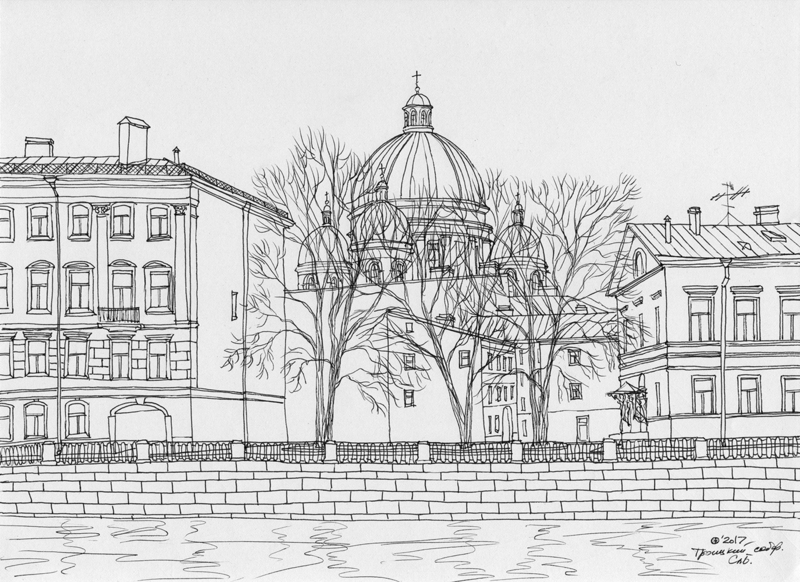 Vasilevsky Island”, paper, pen, 21х29 см. The full catalogue is here. 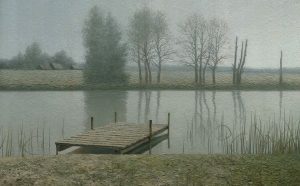 For those who are wondering which painting I exhibited, it was “Calm Dock”. You can see how I painted it here.